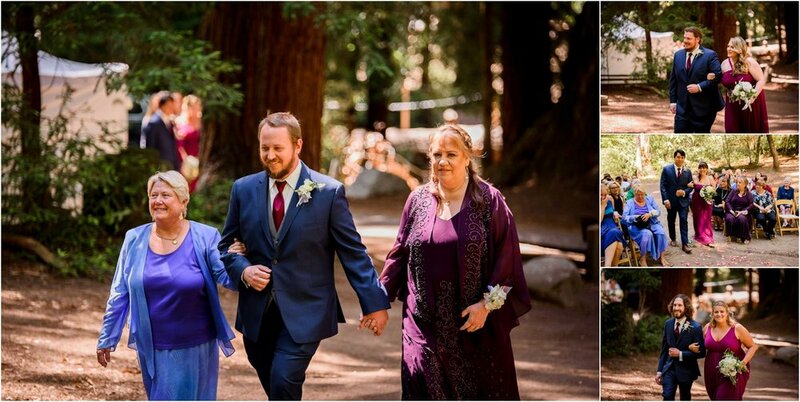 Ok all weirdness from me aside, I am so happy that Trisha reached out to me last year after she stumbled upon some of my Redwood Forest Wedding photos from the last one I did (you can see that post HERE!). They live out in Sunny san Diego…so naturally we chatted about that too (I lived there for a bit at one point! )…and I immediately just loved her. 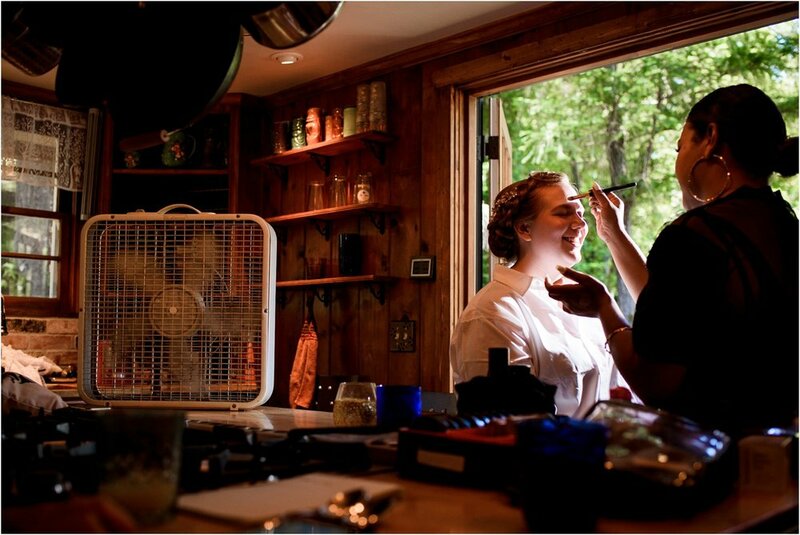 She is hilarious and so stinking sweet…and then you see her, and she’s just gorgeous!! what a gal! ;) . 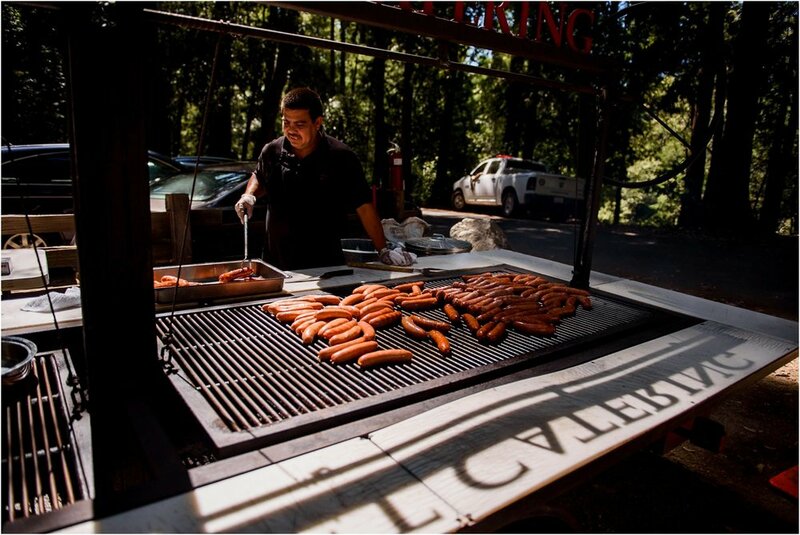 Anyway, after getting things all booked for me to come out and join them in Northern California (just north of Santa Cruz area— which I LOVE!) 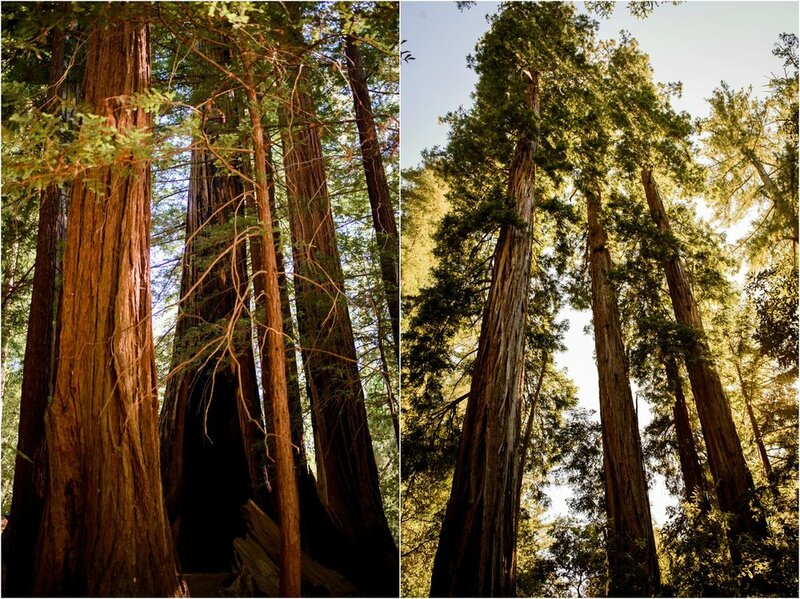 at the Big Basin Redwood State Park, we chatted about them coming out HERE to Colorado for their Engagement photos! So fun!! They are both teachers, and it just happen to coincide that they could come out here for their Spring break to check out Colorado! Of course, it ended up being a really snowy cloudy day in Summit county (was trying to show off mountains! )…but they rolled with the punched anyway- and we had a blast! 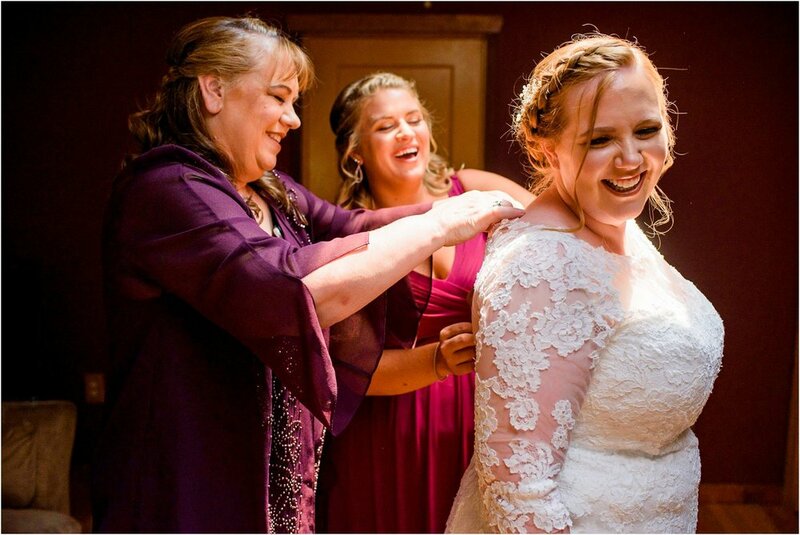 Needless to say, by the time the Wedding rolled around…it felt like I was just hanging out with a bunch of family and friends! 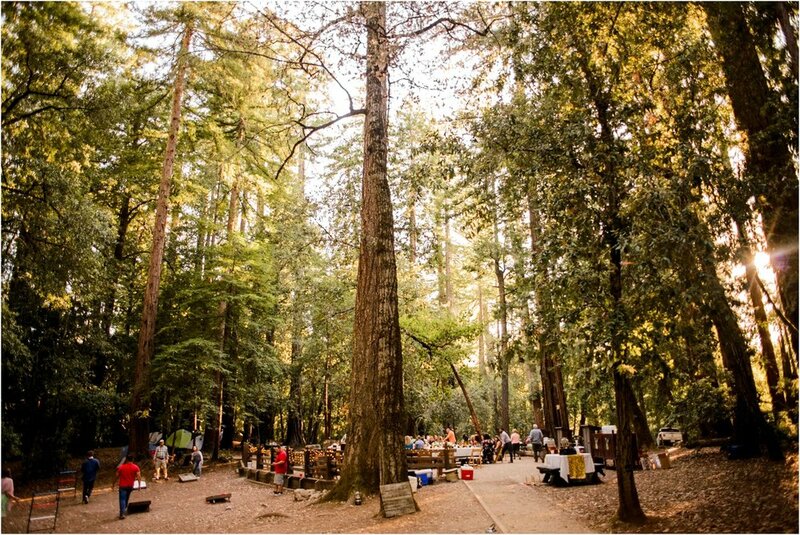 they had a perfect size smaller wedding in Forest, where family and friends camped and played games, and did the whole Shin-dig right in the woods! It was perfect!!! 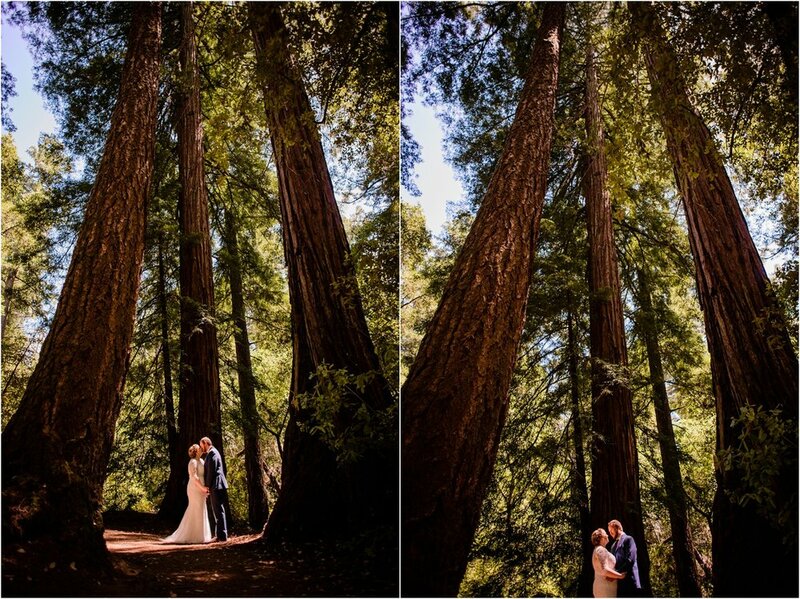 Now, aside from getting to take some beautiful portraits of these two lovebirds in the massively awesome Redwoods…there were just so many amazing candid moments of them throughout the day. 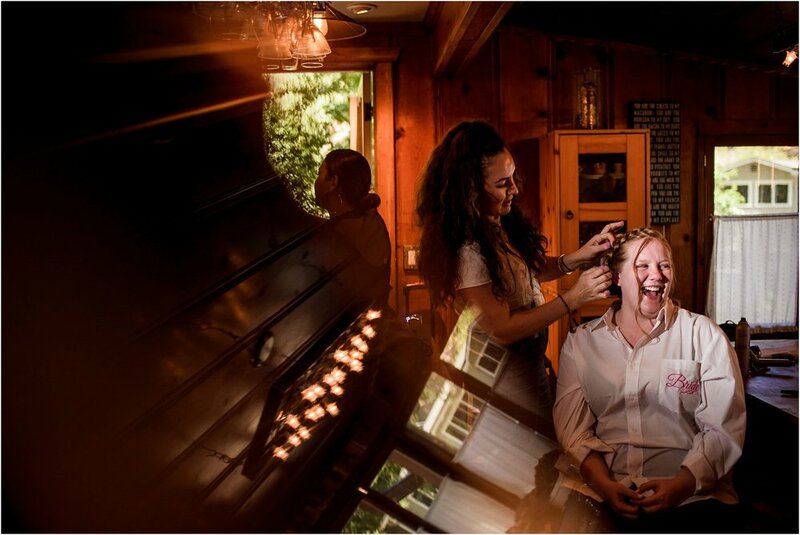 Trisha was just truly such a fun and happy bride…and completely embodies what I wish for every bride to feel on her wedding day! She had everyone cracking up all day too- such a great sense of humor! 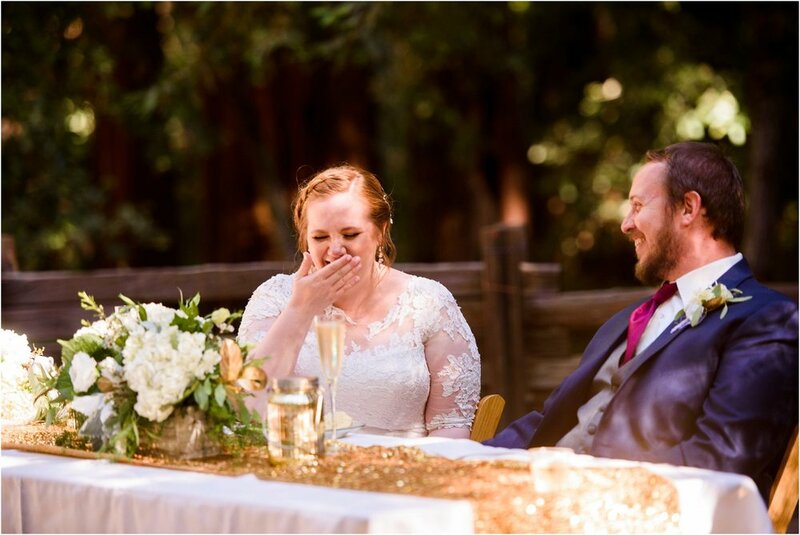 I typically don’t include a ton of candid moments and Wedding party pics, etc…..in blog posts….as it can get kinda long…but I decided for this wedding I would try to include a bit of EVERY part of the day— to give you all a good idea of a full wedding, and what the images are like! 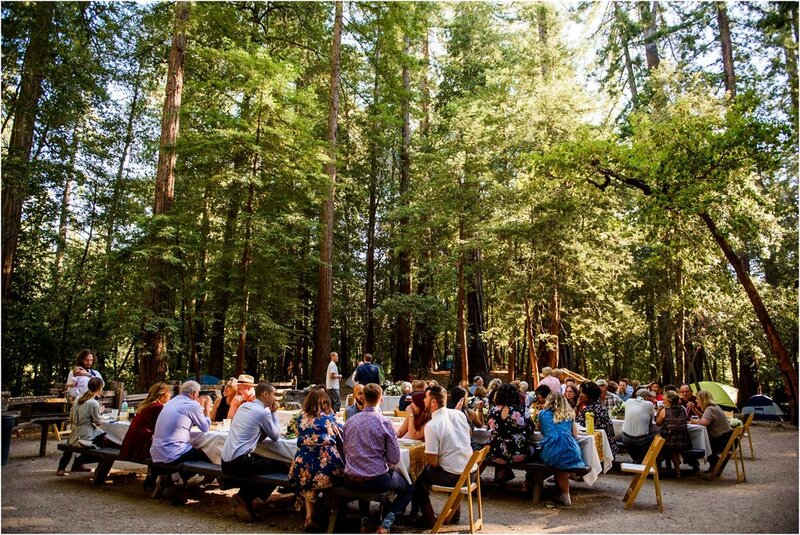 I truly love the weddings where it is so unique to the couple…and family and friends pitch in, and it is so meaningful! Do what YOU want to people!! 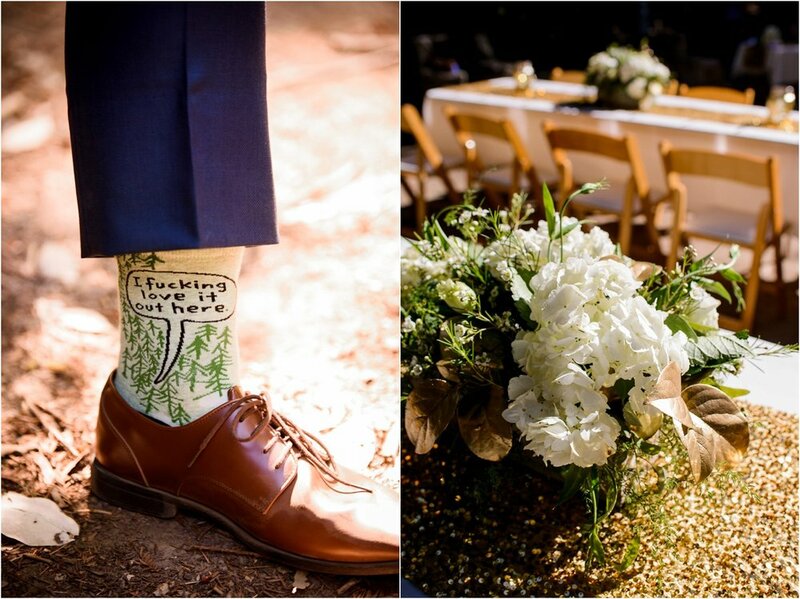 It is YOUR wedding….it should MEAN SOMETHING TO YOU….and not stress you out!! Ok- onto the photos! 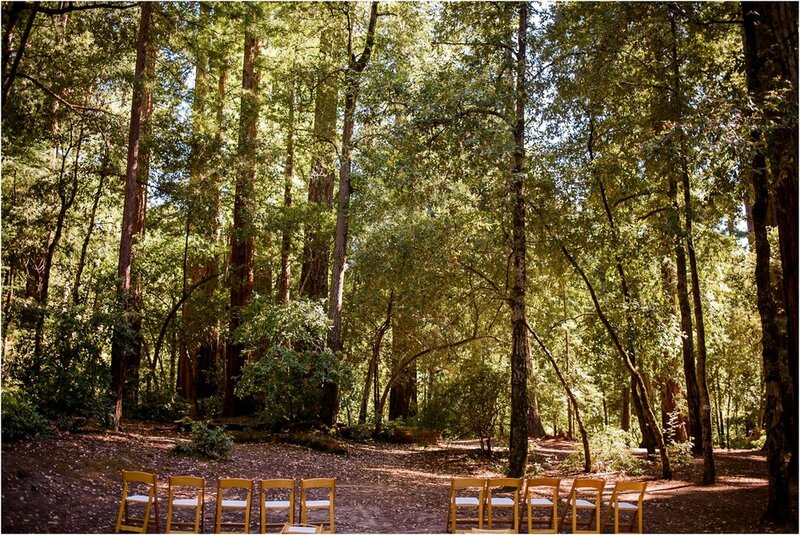 Grab a beverage, turn on some tunes, and check out this gorgeous California Redwood Forest Wedding!! Thanks so much for having me on your day Trisha and Jim—- I am forever grateful to have been there, and I wish you all the absolutely very best with many years of laughter ahead of you!! 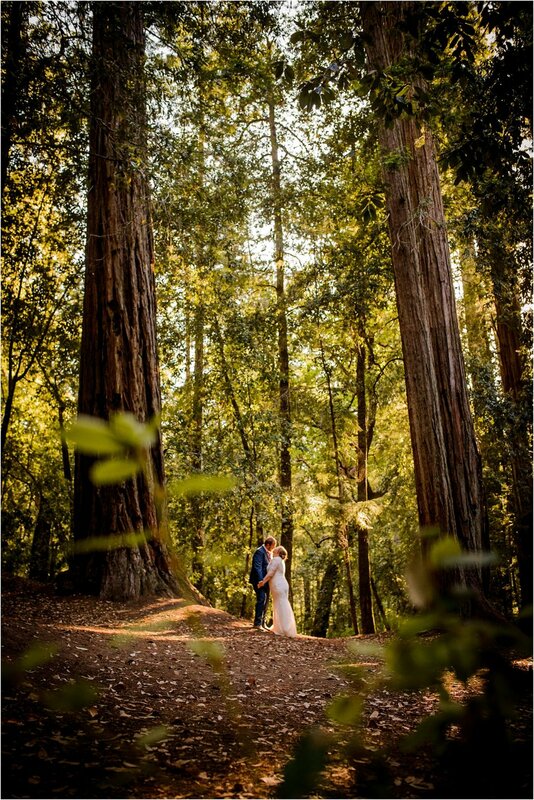 Shoutout to my second shooter and travel buddy for this wedding— Erika Overholt (https://erikaoverholt.com/)— she killed it as my second that day- and some of the images on this post are hers as well (to tell full story! )- and we had a BLAST together!! Thanks girl! !